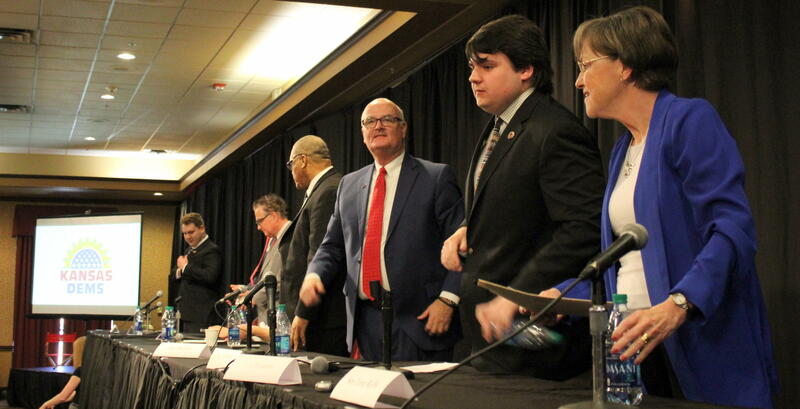 Candidates for governor found a Democratic state party convention newly enthused with electoral optimism after years of Republican dominance. Kansas Democrats aren’t yet united behind a candidate for governor. Still, they emerged from their annual convention over the weekend talking confidently about a fighting chance to break the recent Republican grip on key state and federal offices. “You have to have a perfect storm to elect a Democrat in Kansas,” said Damien Gilbert, president of the Young Democrats of Kansas, a chapter nearly extinct a few years ago but now among the party’s most active. Conversations among party members gathered in Topeka for their state convention invariably turned to the opportunities Democrats have to exploit anger at President Donald Trump and former Kansas Gov. Sam Brownback. John Carlin, Democrat and former Kansas governor. Along with that young energy, old timers are also re-engaging with a party that’s withered since 2010, when Brownback swept into office on a conservative wave. Now, Democrats sense voter dissatisfaction with the hard right policies that followed. Take Adrian Polansky. He’s a former state secretary of agriculture and held posts with the U.S. Department of Agriculture. Now he farms near Belleville. 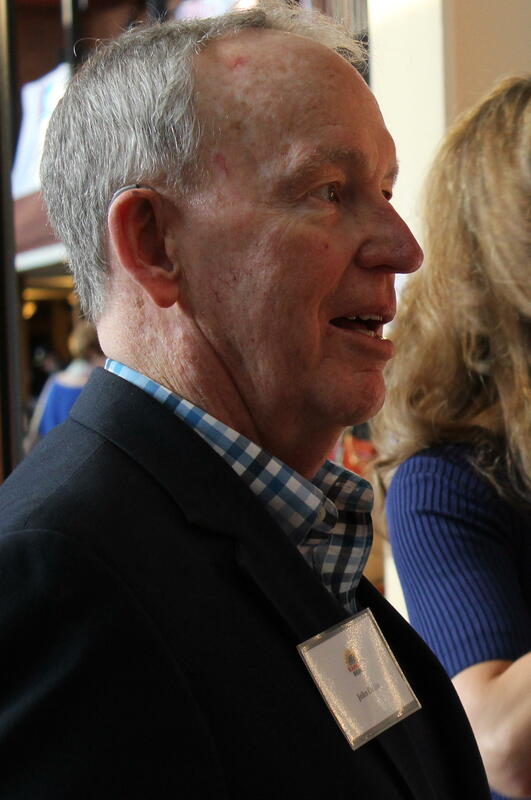 He said the Topeka convention vibrated with an enthusiasm that reminded him of the 1970s, when Carlin was elected to the first of two terms as governor. In that era, Democrats either held or waged competitive races in three of the five congressional districts Kansas had at the time. Ethan Corson, executive director of the state party since August, said that as he travels the state he sees a chance for Democrats to cash in on frustration with Trump, Brownback and Republican Gov. Jeff Colyer. He recalled a big crowd that showed up on a cold January day in Colby for a debate that featured only Democratic candidates for governor. The number of candidates seeking the party’s nomination for governor is another sign of Democrats’ early optimism. Seven of them — including Wichita high school student Jack Bergeson — participated in a forum at the convention. Some in the audience expected House Minority Leader Jim Ward and perhaps former legislator and state agriculture secretary Josh Svaty to go after state Sen. Laura Kelly, who secured the endorsement of former Gov. Kathleen Sebelius on the convention’s first day. Instead, the candidates focused on Brownback and Colyer — who became governor in February when Brownback left for a post in the Trump administration — for stubbornly sticking to tax cuts that forced deep cuts in spending on universities, highways and social programs. “With the devastating tax cuts he (Brownback) imposed, we have had to sweep every nickel from every fund just to pay our bills,” Kelly said, adding it was “painful” to watch services gutted and infrastructure neglected from her vantage point as the top Democrat on the Senate’s budget writing committee. Both Colyer and Kansas Secretary of State Kris Kobach are intent on taking Kansas further to the right, Ward said. Kobach, he said, promises “full-throttled conservatism.” Yet Ward finds Colyer’s politics just as extreme. He noted that the governor has called for a constitutional amendment to further limit abortions, expressed support for arming teachers and refused to reinstate an executive order protecting state workers from discrimination based on their sexual orientation. Svaty’s performance stirred members of the partisan crowd, particularly his call-to-arms closing. 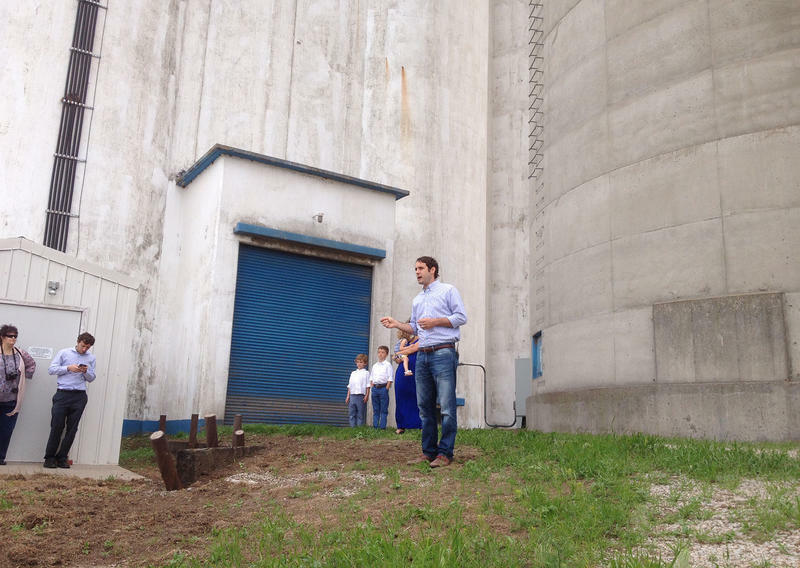 Former state agriculture secretary Josh Svaty appealed to party loyalists in Topeka over the weekend. Some political analysts contend that if Orman stays in the race as an independent he could undercut a Democrat’s chances by siphoning off votes from moderates. Democrats also talked confidently about challenging for other statewide offices and, perhaps, for three of the state’s congressional seats. State Sen. Marci Francisco and former Google and Uber executive Brian McClendon are competing for the Democratic nomination for secretary of state. A long list of Democrats are vying for the right to challenge Republican U.S. Rep. Kevin Yoder in the 3rd Congressional District, which covers the KC metro area. Wichita civil rights attorney James Thompson is running against 4th District Republican Rep. Ron Estes for a second time. Thompson narrowly lost a special election for the seat in April 2017 that drew national attention as a referendum on Trump. But the state’s 2nd Congressional District – where Republican incumbent Lynn Jenkins isn’t running for re-election – could be Democrats’ best chance of flipping a congressional seat. Former Kansas House Minority Leader Paul Davis, of Lawrence, is well-financed and running against a field of Republicans with lower profiles in the eastern Kansas district. He carried that region in his unsuccessful 2014 bid to unseat Brownback. 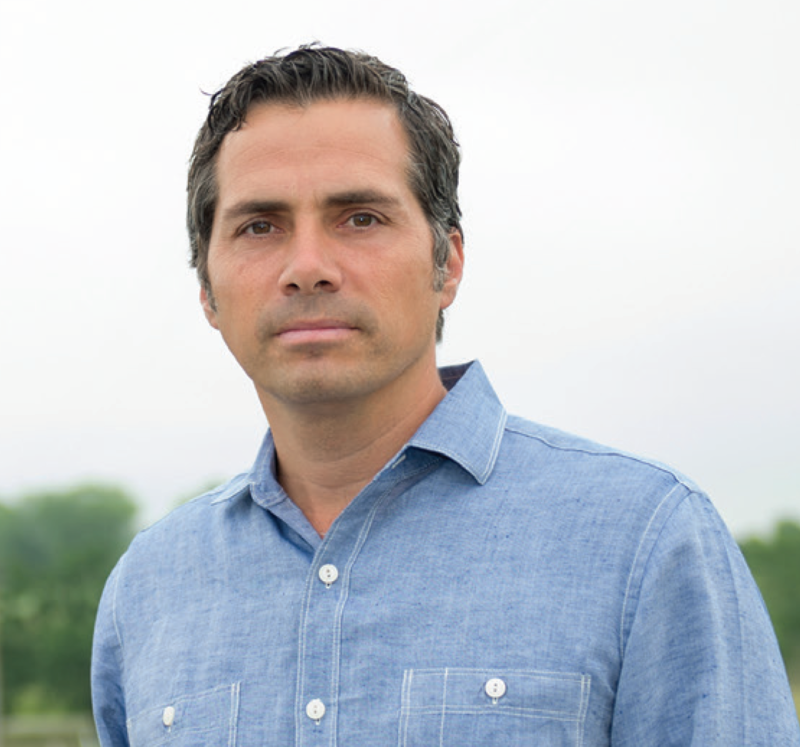 Four years ago, Greg Orman made an independent and notable challenge to Republican U.S. Pat Roberts’ run for re-election. Now the wealthy businessman has his sights set on the governor’s office, contending that voter frustration with the two-party system gives him a path to victory in November. “What is clear to me is that voters want real alternatives,” Orman said Wednesday on a conference call with reporters. His bid for the governorship holds the potential to alter the dynamics of the general election. 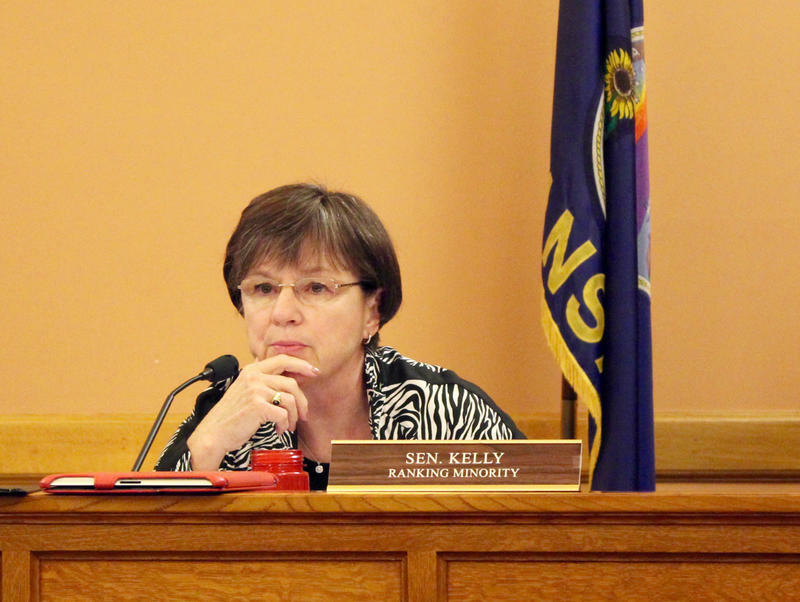 A crowded field of candidates running for governor in Kansas gained its first woman Friday with the entry of state Sen. Laura Kelly.